One of our close associates and tech advisor has a classic new project for Team Nevadamusclecars.com. 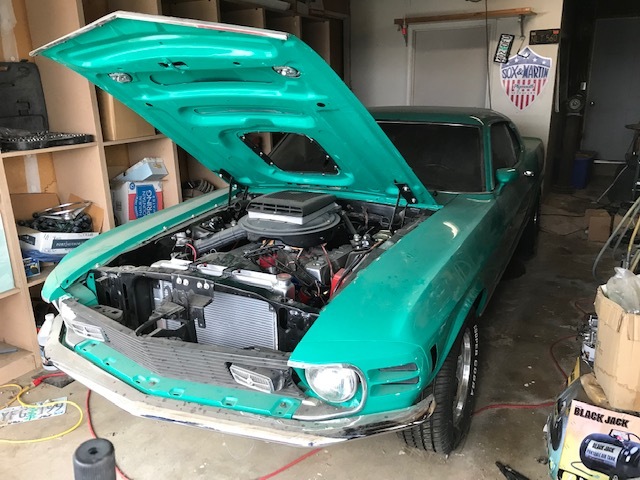 A Grabber Green Mach 1 Ford Mustang that has been in their family for a number of years and in garage storage needing a bit of work to get it ready to rumble again on the streets. This quintessential “Pony Car” is a slightly modified “Day Two” machine which was typical of many muscle cars of years past. 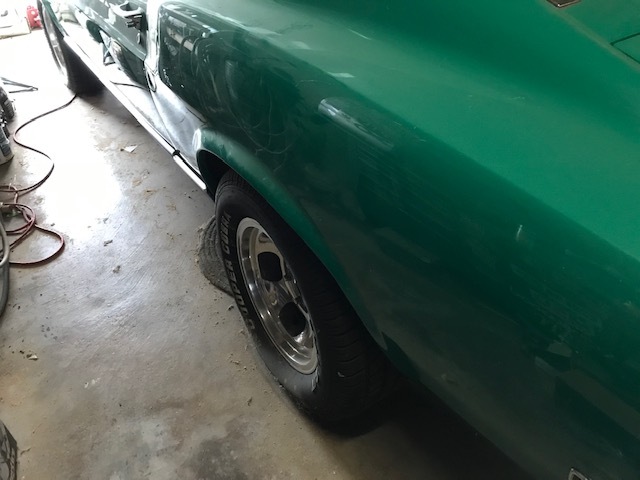 Mods for the “Mean Green” ‘Stang include a great set of period polished slotted mag wheels on raised white letter bias ply rubber and little bit of emblem clean up. 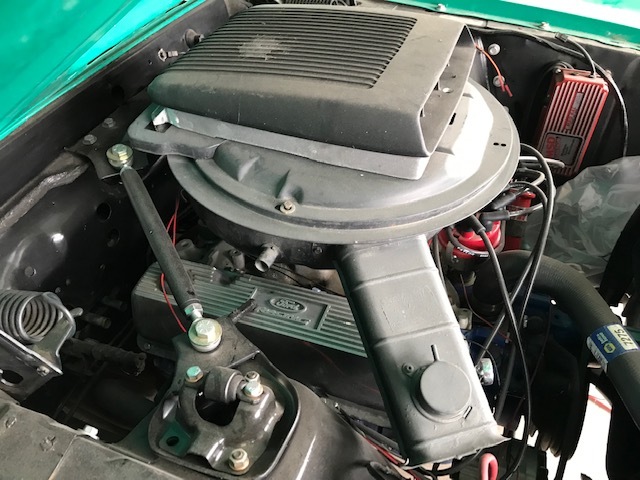 Motivation comes from a built 351 Cleveland with high compression heads and pistons, but still retaining pretty much stock appearance with the famous “Shaker Scoop” and hood. 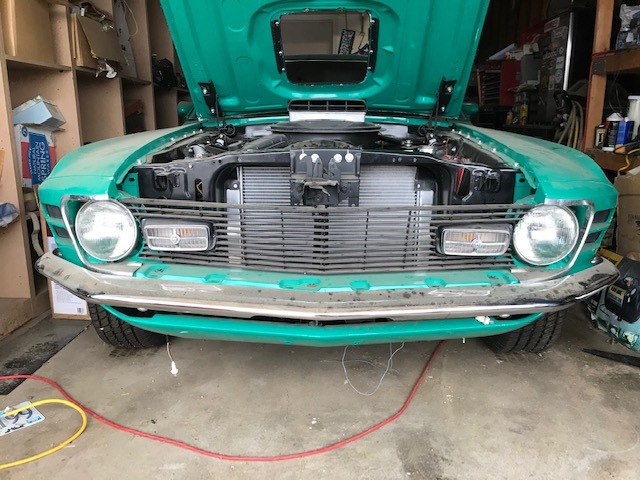 This car did come stock with and automatic trans but had been converted over to a 5 speed many years back with a T-5 installed. 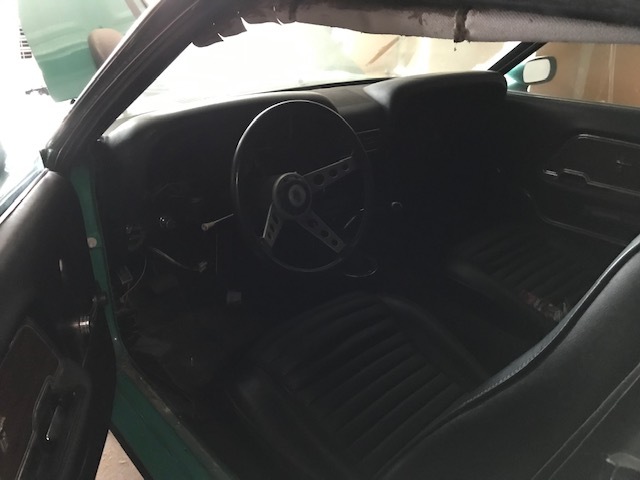 Also some minor interior mods are in the car along with a few upgraded suspension upgrades such as a custom fabricated “Monte Carlo” tower brace to help stabilize that long front end. Goal for the Team this year is to get the “Mean Green Machine” cleaned up and back out running again. Some old clutch issues need to be attended to and the typical going over systems on an older muscle car that has sat around for a number of years. 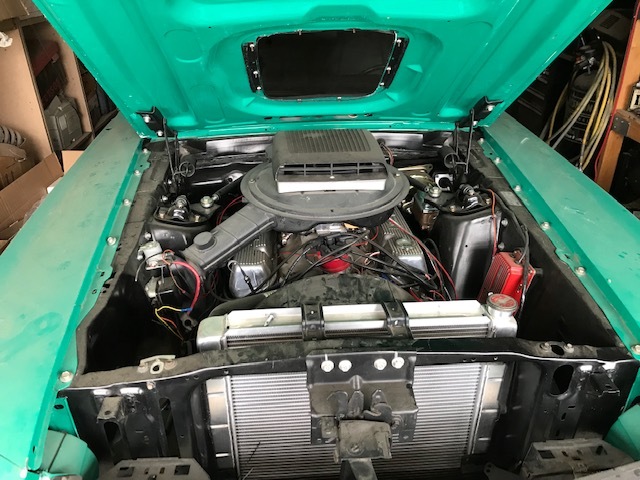 As it warms up in to Spring and on through to some of our local events like Hot August Nights around here in the Tahoe-Reno area, we will be posting some of the progress from the The Team. Please come back again and until then…….TACH IT UP…..!!! 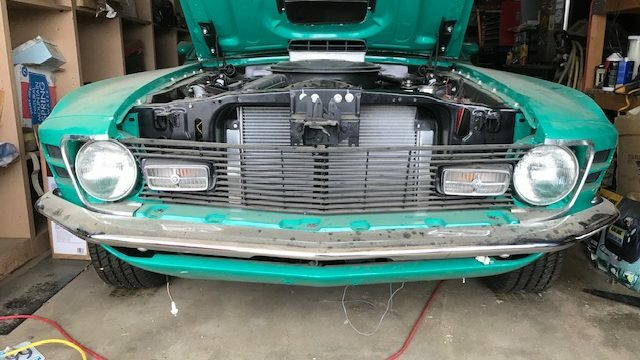 Mach 1 grill and you can see the aluminum radiator to help cool that higher compression 351 Ford. The classic Shaker Scoop air cleaner and modified very solid adjustable strut brace. Also installed on the 351 are great looking Ford Performance finned aluminum valve covers. 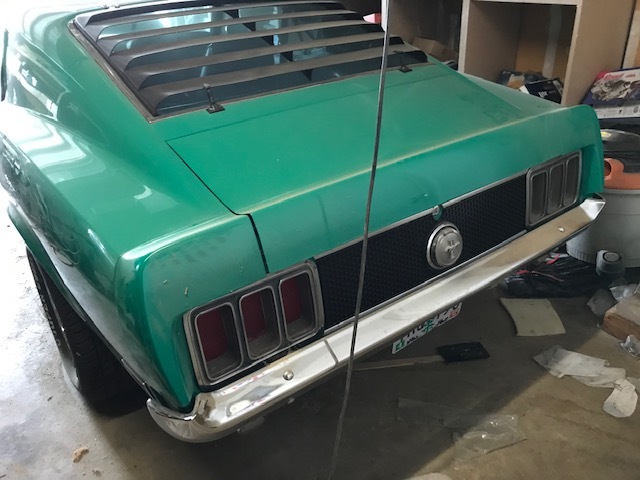 EARLY SEVENTIES MUSCLE FOR SALE: 1972 Chevrolet Nova IT’S AN L!…….IT’S AN L!……Lincoln Highway Markers from Old Hwy 40.